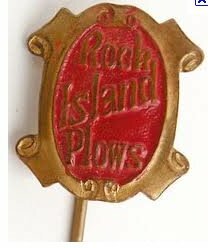 From the early 1900’s into the 1920’s, Rock Island Plow Company frequently produced advertising trinkets. 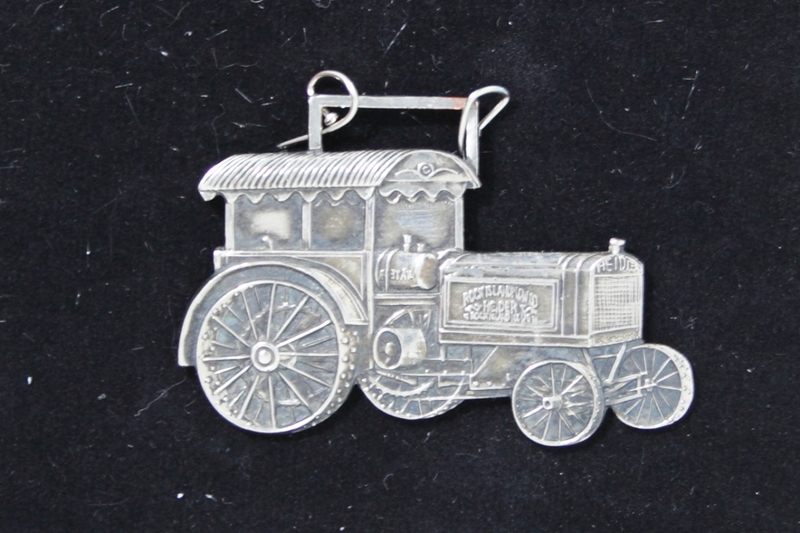 Few modern pieces have been produced, mostly belt buckles and watch fobs, Luckily, this means there are few counterfeits and reproductions on the market. This is not a total list, but is a compilation of some of the more common items to appear. Three cast iron seats are commonly associated with RIPC, these were implement seats, not tractor seats and were used in the late 1800’s and very early 1900’s but were replaced shortly after the turn of the century. 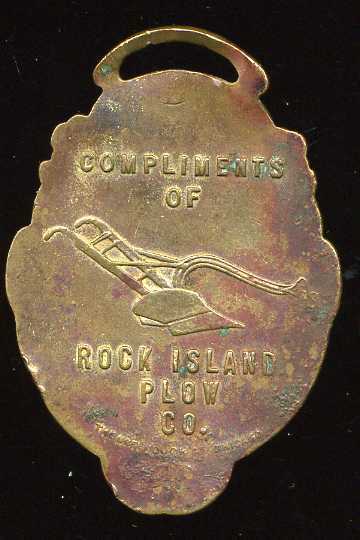 The Buford seat is commonly recognized, although many collectors do not connect it to Rock Island being unfamiliar with the name. The second and third seat are commonly recognized RIPC seats, the unnamed version apparently on pre RIPC cultivators and the 4th used in the later 1890’s on? The first seat on the bottom row is the iconic star seat, which is commonly found and reproductions are frequently on ebay. The second seat on the bottom row is not commonly associated with RIPC but appears in the 1900 parts catalog for use on certain models of cultivators and on our example at least, the cast number of R162 matches the catalog parts number. The fourth seat below is a mystery, there are two versions, one of which has Morrison Bros. Ft Dodge IA also cast on it, which is extremely rare; the common version of the seat has no such casting. I can find only one passing reference to Morrison Bros connected to a Browne Sulky, while the Browne was the premier B.D. Buford sulky plow of the day. Furthermore, at least one B.D. Buford ad shows the sulky seat as having “ne Sul”, although other ads show different seats, notice also the similarity to the Buford seat. I have to wonder if Morrison Bros for a brief time sold the Browne Sulky for Buford? 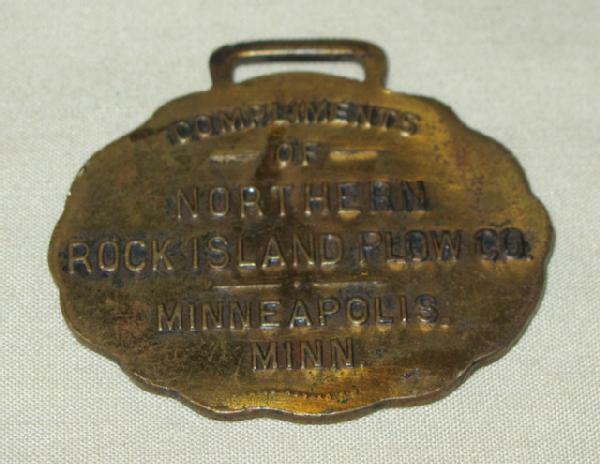 Watch fobs were popular advertising items given out by many turn of the century companies. Below are an example of some of the fobs commonly seen. 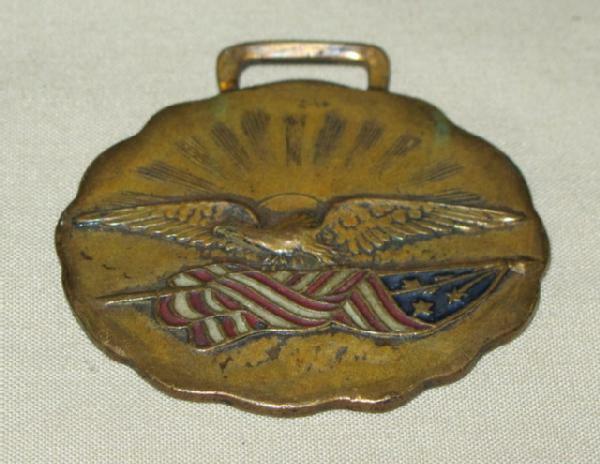 The only known reproductions so far are of the Heider fobs and they are clearly marked on the reverse. The coloring is an enamel that can chip so its not uncommon to find them missing their coloring. 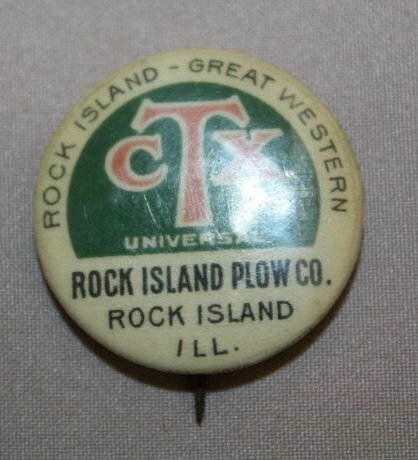 Another common promotional item for companies were buttons and pins. This was common in the turn of the century, with the buttons being made of celluloid and retaining much of their original finish even now. Here are a few examples, although others do exist. A variety of promotional items were given away by the various branches and agents of the company. 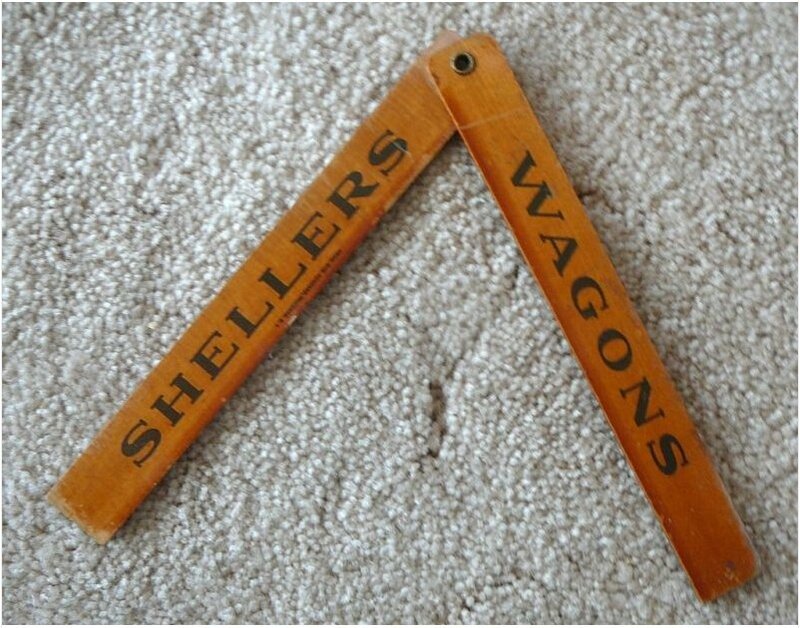 Some were very practical and nice like the thermometer and brass letter opener. Others like the Gelman can opener and the slotted spoon were more novelties. 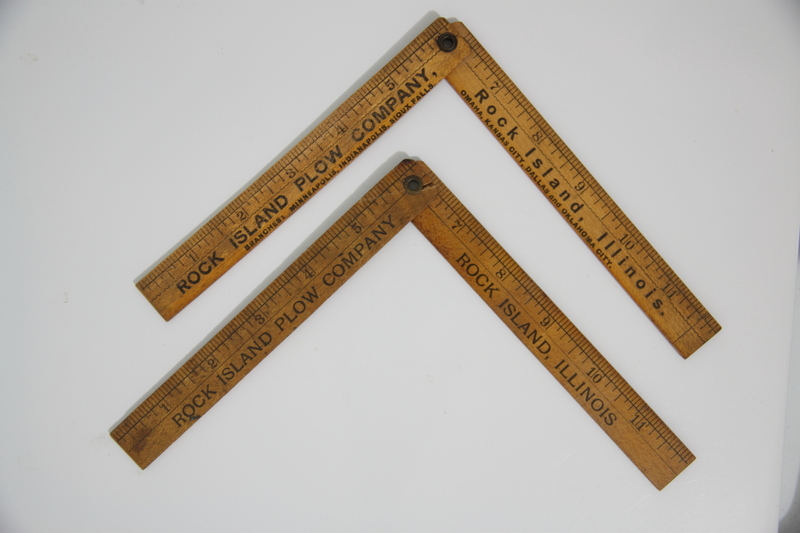 Rulers were a common give away item and are frequently seen at auction, a number of variants exist. 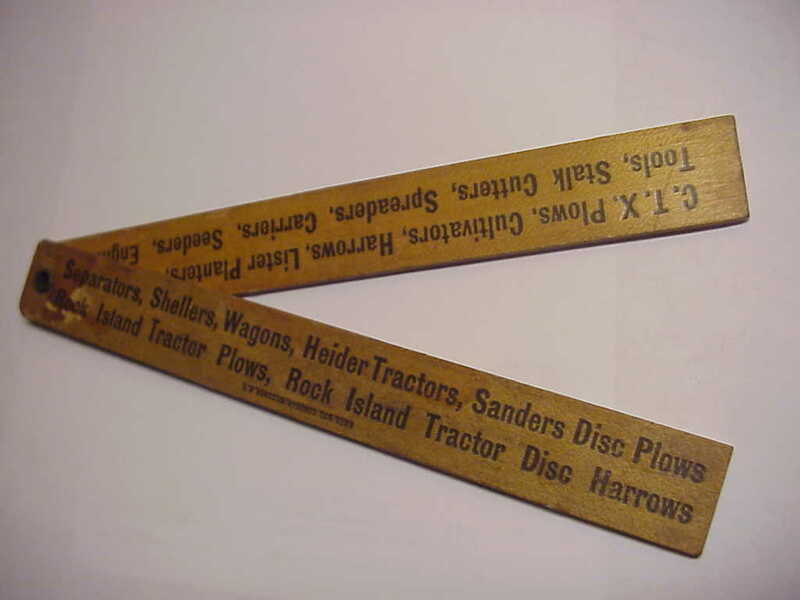 Celluloid tape measures with their high quality logos are rarer but can still be found. 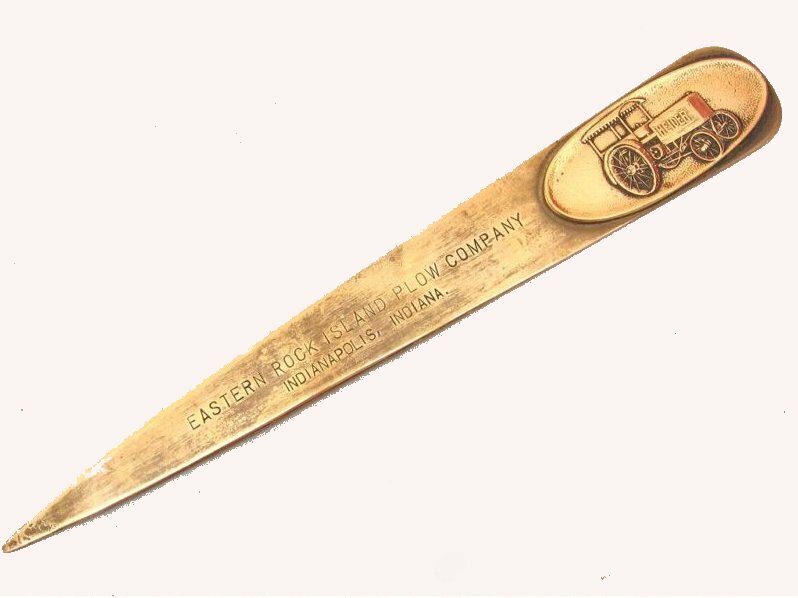 This sharpening stone was a common type, engraved with business names. This one was from Osborne IL, only a few miles outside Rock Island. 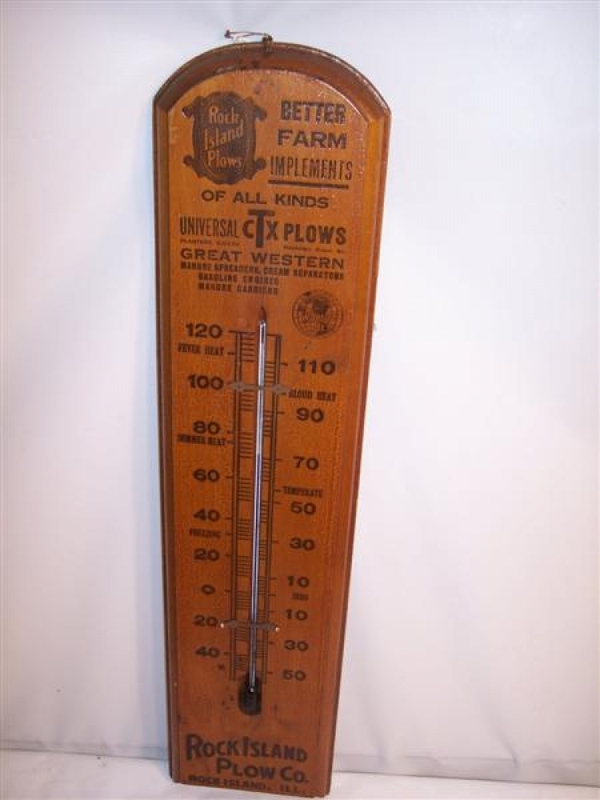 At least two versions, a small and a large, were made of these wood thermometers. Left: Rare Northern Rock Island metal spoon with a bottle opener at the end of the handle. Ashtrays were another give away item, the Hedgehogs or porcupines being an interesting example. 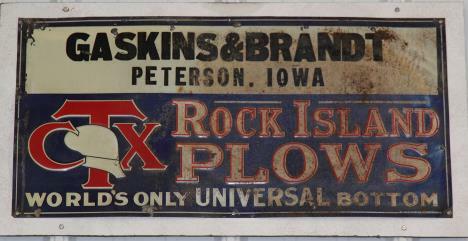 The first one is simply cast Rock Island Plow Co. the second one is the identical ashtray, however it is cast J.I. 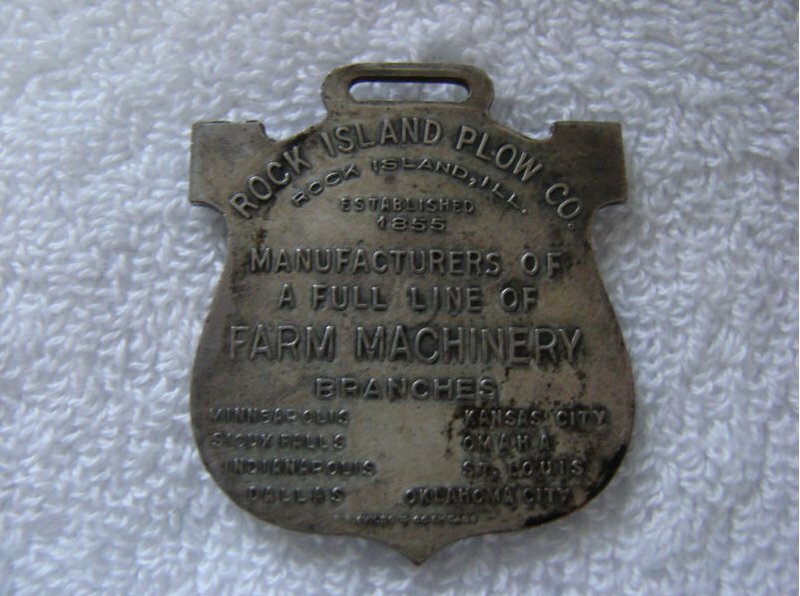 Case Co Rock Island First Iron May 1937 to commemorate their reopening the plant. Although a small handful of custom one of a kind toys exist, the only production scale models of any Rock Islands or Heiders were made by Spec Cast in 1986. 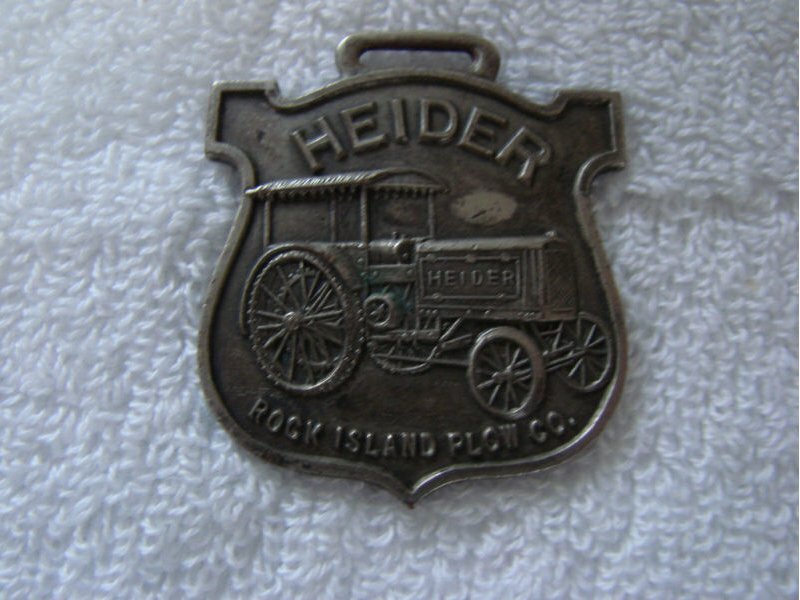 These consisted of a Heider C and Heider D in 1/16 scale which could also be purchased with a matching serial number belt buckle (see below) or separately as the commemorative tractor for the first annual Quad Cities Farm Toy show (Rock Island is part of the Quad Cities). In addition, a 1/64th scale version was also produced, although many of the C’s do not have the commemorative canopy that was made for the show. 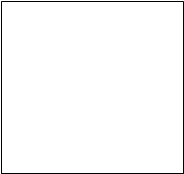 These are now often seen sold as D’s. 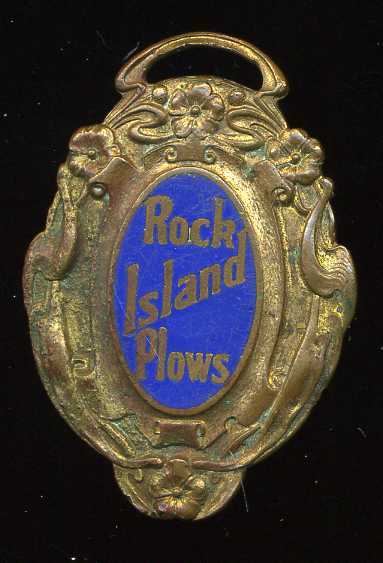 Two Heider commemorative belt buckles are commonly seen, both being the numbered Spec Cast buckles originally produced for the 1986 Quad Cities Toy Show. Right: Printers blocks were mass produced for advertising and can still be frequently found. Above: Rock Island cookbook, the recipes are fairly high class and made use of the increasing availability of exotic foods.